Your power wheelchair can’t work without power chair batteries, which is more than logical. You as a power wheelchair user want to achieve uninterrupted mobility by using long-lasting, safe, and easy to maintain power chair or mobility scooter batteries. If you know how to maintain your wheelchair’s batteries, they will serve you for a long time. Still, bear in mind that you will have to replace them occasionally. The better wheelchair batteries – the better will your power wheelchair work. Manufacturers of the power chair batteries recommend night charging, as this is the most practical way to charge the batteries. However, an 8-hour charge might be not enough for those who are more mobile than most of the wheelchair users. That is why we have some more tips on how to use your wheelchair’s batteries more efficient and how to extend the life of your power chair batteries. As we mentioned in the first paragraph, it would be best to fully charge the batteries during the night, every single night. If you charge the batteries partially, they lifespan might be shortened. If you are not using your wheelchair often, still charge the batteries once in two weeks and store the wheelchair in a cool and dry place. Here is a simple, yet efficient trick – remove the battery charger from your wheelchair battery. It will make it last longer. You want to keep your battery connectors and your battery clean and dry. A damp cloth will do the job perfectly. If you install the batteries properly, it will prevent eventual malfunctions of your wheelchair. 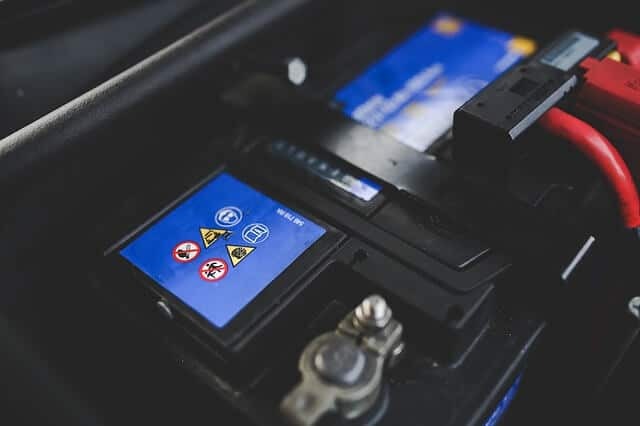 In order to fully understand how your wheelchair batteries work, you should know three components of every wheelchair battery: capacity, current rating, and cell type. This is the part that will probably interest you the most. Wheelchair capacity tells you how long your power chair battery can last. Wheelchair batteries’ capacity is always expressed in Ampere-hours. For example, if your power wheelchair runs at 10 Amperes, while the battery has 30 to 90 Ampere-hours, this means that your wheelchair has the capacity to run continuously for three to nine hours. However, you surely won’t use the wheelchair continuously, so that your power chair batteries will last for more than 9 hours. Current rating explains the rate of electron flow and it is also expressed in Amperes. Higher Amperes affect the better performance of your wheelchair while it runs over uneven terrains. The two main types of battery cells are wet or gel cells. Both types are compatible with power wheelchairs, while gel cells are more recommended due to their easier maintenance and environmental protection. How long does it really take to fully charge my power chair batteries? As we mentioned above, it will take around 8 hours, or in other words – one night. Still, if you got your wheelchair batteries recently, charge them for ten or more hours in the beginning. Specially designed chargers prevent the risk of overcharging, which means that leaving your batteries on charge for a bit longer won’t harm them. When I fully charge the batteries, how long will the charge last? Well, it depends on the battery. Still, you can expect the time range of at least several hours and ten to twenty miles distance range. If you want your power chair batteries to last longer, it would be great to purchase lead-acid batteries, as this type prove itself as the most durable. Replace batteries that are over 18 months. Your weight as a rider might also affect the battery’s endurance. How can I know when my battery charge is running low? Each power wheelchair has battery gauge lights. They are located on the joystick controller. Indicator lights show the battery strength and you will always know when your battery is fully charged or it is running low. When is the right time to replace my power chair batteries? Your batteries should last at least for six months. Still, the usual lifespan of the batteries is one year or longer. On the other side, if you notice that your power chair batteries are losing power quickly and you experience a decrease in their range, then it is the right time for a replacement. If you maybe find this option as too expensive, due to battery replacement, it would be also great to think of purchasing a portable wheelchair. This is an option for low budgets, but it still does the job – provides you all day mobility. What is my power chair batteries range? Here we can talk about your batteries range in two directions – range distance and time/hour range. If you charge your power chair batteries fully, you can expect them to last at least for eight hours or more, depending on the battery state. Battery health is the most important factor when we talk about ranges. Newer batteries have distance range up to 20 miles, while the older ones might serve your for around 10 miles daily. For example, batteries older than year and a half shorten their range significantly in comparison to 6 months batteries in most of the cases. On the other side, as different people use their wheelchairs for different purposes and different terrains, it might be the case than older batteries serve better than the almost new ones. Still, we are talking about some usual cases. Lead-acid batteries are generally more recommendable battery type, but even these have to be replaced. Do the replacement after year and a half of use, as you will for sure notice the shortage of distance and time range. Lead acid power wheelchairs batteries have one issue. They need more than eight hours in charge during the night. 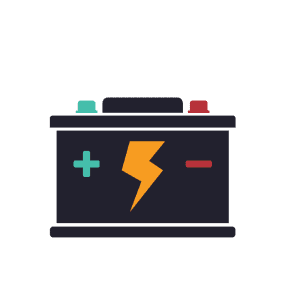 Lead acid batteries require fourteen to sixteen hours charge to achieve full saturation. When the motor is in an idle mood, the battery cannot get a sufficient charge. In other words, insufficient lead-acid batteries charge leads to sulfation. What is the solution? Your wheelchair needs a periodical saturation charge, which will solve the problem. There are two types of sulfation – reversible and permanent. Permanent is a more complicated, as this means that your battery hasn’t been fully charged for months. This situation might teach you a lesson – never leave your lead-acid power batteries partially charged. In this part, we are going to reveal you some secrets about wheelchair batteries care. If you know how to take proper care of the batteries, they will serve you better. Do you know the struggle when you want to go somewhere but your battery is dead? Even if you don’t, there are some steps that you can undertake in order to save your wheelchair’s batteries. One of these is to be careful with brand new batteries. Make sure that mobility scooter batteries are fully charged before you use it. If the batteries are not fully charged, it will be almost impossible to reach their maximum range, which will make it hard to enjoy long rides or any other activity that requires all day motoring. This might seem a bit strange, but this is an efficient way to save the life of your battery. 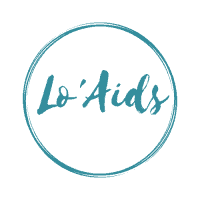 If you drain them only by 30 percent during 10 days period, you will allow them to achieve full-charge status, whose importance we already explained. Even if you are not using your scooter, charge the batteries nightly. Let’s say that batteries love this. If you charge your battery every night when they are at 50 to 100% charge, you will extend the lifespan of it. Never use another type of wheelchair’s charger, as this can actually destroy your battery. We know that you might be in a tempting situation when your wheelchair batteries are running low and you need a fast charge, but this might produce more severe consequences on your wheelchair. If you are in an inconvenient situation, try to contact the manufacturer of your wheelchair and ask if it is possible to charge it with another type of charger. It is also important to charge your power chair batteries in an ideal temperature – between 18˚C and 25˚C – your wheelchair batteries will love it. On the other side, temperatures under 10˚C or over 30˚C are not so recommendable, as this might shorten your mobility scooter batteries lifespan. No one can predict the exact lifespan of wheelchair power batteries. There is no such thing as battery life calculator. We would say that it goes from six months to two years maximum lifespan. Batteries lifespan depends on many factors, which vary from one person to another. If you are an active person and tend to go to many places in one day, then your battery will need more power. Further, if you traverse narrow or rocky terrains and like to explore, it will require even more power. In case you don’t have to go along rocky terrains, flat terrain is your friend, as this will extend your power chair batteries. Bear in mind that your weight will also affect the endurance of the battery. The lighter you are, the less power the battery will use to maintain the tasks. On the other side, avoid carrying heavy items on your wheelchair, as it only adds more weight. As you probably already concluded, the way of charging your battery will have the greatest effect on its lifespan. If you leave your battery charge overnight to the fullest every night, you can expect the maximum lifespan of the battery. It would be great if you wait a bit and leave your battery to reach zero percent charge and then charge it fully. Your battery will love it. Otherwise, if you charge it partially, a couple of times a day it won’t last you more than 6 months to one year. Try to settle one driving pattern and stick to it. Travel by constant speed and maintain the pressure to the tires. Batteries don’t like stop-and-go drivers, as this kind of constant speed switch weakens them. For the end, take proper care of your power chair batteries. Make sure to wipe down any grease or dust with a cloth. Many wheelchairs or mobility scooters come with two batteries, so you can count on another one if the one you are using fails. Apply the tips we proposed above in order to get the most out of both batteries, but don’t avoid replacement when both of them start losing their power. As you can see, there are many ways to extend the life of your mobility scooter batteries. You probably already know how much care and love you give to your wheelchair and its batteries. It takes some time to figure out how to maintain it properly, but we tried to save up your time by writing this article. 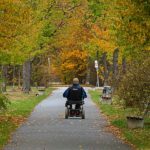 Power chair batteries might serve you for about two years, or about 6 months – it all depends on how you treat them. The goal is to provide yourself undisturbed mobility, which is not that hard to achieve, but to save some money also. If you don’t treat your batteries well, you might spend a fortune on semi-annual replacement. If you try to stick to the rules and provide them right maintenance, you will have a happy experience with your power chair batteries.